Stephen Ray Perry (born January 22, 1949, in Hanford, California) is an American singer and songwriter best known as the lead vocalist of the rock band Journey. Steve Perry is the only child of Raymond F. Perry (born Raymond Pereira) and Mary C. Quaresma and is of Portuguese heritage (Pico island, Azores). Steve grew up interested in music, as his father was a vocalist. He also counts Sam Cooke and Al Jolson among his early inspirations. Steve Perry is the only child of Raymond F. Perry (born Raymond Pereira) and Mary C. Quaresma and is of Portuguese heritage (Pico island, Azores). Steve grew up interested in music, as his father was a vocalist. He also counts Sam Cooke and Al Jolson among his early inspirations. The Perry family was close-knit until Ray left when Steve was 7. His mother later remarried, and Steve remained extremely close to her. On his twelfth birthday, Mary presented Steve with a gold eighth note necklace, which he still wears for good luck. The family moved to Lemoore, California during Steve's teen years. While in Lemoore, the young long-haired singer continued to pursue his interest in music. He attended high school there, drumming in the marching band as well as in extracurricular bands. He attended Visalia, California's College of the Sequoias for a short time after graduation, where he took first tenor in the choir there. Steve's mother encouraged his musical growth during this time. 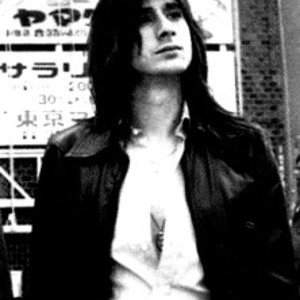 Steve Perry moved to Los Angeles and fronted the band Alien Project in his mid twenties. He nearly gave up music when the bassist of that band, Richard Michaels, was killed in a tragic car accident. Filled with grief, Steve returned to Lemoore and decided not to continue his singing career, instead following in his stepfather's trade of construction, once working on a turkey farm. But at the urging of his mother, Steve answered a call from Walter "Herbie" Herbert, manager of the struggling San Francisco band Journey. Herbert had heard a demo of an Alien Project song, "If You Need Me, Call Me", and knew Journey had to have the young singer. Steve was brought on tour and performed a song with Journey during a sound check in Long Beach. Herbert informed the band of the lineup change that night. Steve Perry with Journey, c. 1981Perry replaced then-frontman Robert Fleischman in Journey, and brought a completely new pop sound to its music, despite protests from his new bandmates and fans of Journey's former progressive rock sound. He made his public debut on October 28, 1977 in San Francisco, and was met with mixed emotions. Steve determinedly proved the critics wrong and won over new audiences on his first album with the group, Infinity, which included a song that he had written called "Lights". The band's style had changed dramatically, but as Journey began to garner radio airplay and media buzz over Infinity, Steve's arrival was accepted. He provided lead vocals on nine of Journey's albums: Infinity (1978), Evolution (1979), Departure (1980), Dream After Dream (1980, a Japanese movie soundtrack), Captured (1980, a live album), Escape (1981, which went to #1 on the Billboard charts), Frontiers (1983), Raised on Radio (1986), and Trial By Fire (1996). The single "Open Arms", off of Escape, made it to #2 on the Billboard Hot 100. Steve Perry had become the unmistakable voice of Journey throughout his time with the band. His trademark tuxedo tails also made him stand out amongst other performers. Perry had previously worked with other performers, such as singing backing vocals on several Sammy Hagar songs, including the 1980 "Run For Your Life", and dueting with Kenny Loggins on the 1982 #17 hit single "Don't Fight It". Perry also worked with other musicians such as Sheena Easton and Jon Bon Jovi during the height of his career. Now Perry released his first solo album, Street Talk, in 1984, following the release and tour for Journey's Frontiers. The record was a platinum success and scored hit singles with "Oh, Sherrie", written for his then-girlfriend Sherrie Swafford, and "Foolish Heart". "Oh, Sherrie" was also a heavily played music video on MTV. "She's Mine" and "Strung Out" were also released as singles from this project, which featured former Alien Project drummer Craig Krampf on a few tracks, guitarist Michael Landau, future American Idol judge Randy Jackson, and others. In 1985, Perry had a featured vocal in the famed USA for Africa all-star benefit song "We Are the World", lending his high tenor to the lines "Oh, there's a choice we're making / We're saving our own lives". He also recorded a song,"If Only For a Moment,Girl" for the album. Steve debated continuing a solo career or returning to Journey after the success of Street Talk. His mother said "Journey", and Steve obliged. He left his second solo album, Against The Wall, unfinished and instead sang on Journey's Raised on Radio album. Perry would eventually continue his solo project after the Raised On Radio tour but it was never completed. Unfortunately, during this time Steve's mother had become ill. The production of Raised on Radio, which he produced, was stop-and-go as Steve frequently returned to the San Joaquin valley to visit his family. It took a major toll on Journey to have intermittent recording sessions and a vocalist who was not with the band much of the time. Eventually, as Steve later said, he "was toast". Journey disbanded in 1987 after the Raised on Radio tour. Steve disappeared from public view for years afterward, taking a break from the industry. Seven years later, in 1994, he released For the Love Of Strange Medicine, his second solo effort. It was mildly successful, partly due to the Strange Medicine world tour (supported for a short time by Sass Jordan) being cut short. Journey reunited in 1996 for Trial by Fire. The album was a success, but a short-lived one. Before the Trial By Fire tour, Perry suffered a hip injury mountain hiking in Hawaii and was unable to perform. He had a degenerative bone condition and would need a hip replacement. Steve was reluctant to jump into surgery and wanted to postpone the tour. Given an ultimatum by his impatient bandmates, Perry opted to leave Journey permanently. Shocked and saddened fans grieved the absence of Perry saying, "the voice of Journey" was gone. The band brought in a new vocalist, Steve Augeri. Tensions remained high at the time between Journey and Steve Perry. Since then, news has been rare of the elusive singer. He eventually underwent a successful hip surgery in 1998 to correct the problem he had been diagnosed with two years earlier. He released the Greatest Hits + Five Unreleased compilation later in 1998; the unreleased tracks included the original Alien Project demo as well as selections from the abandoned Against The Wall C.D. In, 1998, Perry also recorded two songs for the Warner Bros. film Quest for Camelot which can be found on the motion picture's soundtrack. The band participated in an episode of VH1's Behind The Music in 2001, where Steve made the controversial statement that he "never really felt like part of the band." Perry became more involved in motion pictures thanks to a close friendship with movie director Patty Jenkins. Accordingly, in 2003, Perry worked as a musical consultant on the critically acclaimed film Monster. More recently, Perry surprised fans by appearing at Journey's star ceremony on the Hollywood Walk of Fame on January 21, 2005, after previously stating it was unlikely that he would ever stand with the band again. Perry said on his website that it was a good experience, and that tensions between him and the other band members were reduced, but that his rejoining Journey is not going to happen. In 2005, Steve Perry produced a track on a solo album for former Ambrosia lead vocalist David Pack, titled The Secret Of Moving On. Perry also provides background vocals for "A Brand New Start", among the many songs he and Pack co-wrote shortly after the September 11, 2001 attacks. Pack's album, which also includes re-recordings of two Ambrosia songs, has been climbing the Billboard charts since its early-2006 release. Also in 2005, the Chicago White Sox team adopted Journey's "Don't Stop Believin'" as their unofficial team anthem. As a result, Perry (an avid baseball fan) joined the players on the field and in the locker room as they celebrated their World Series Championship. In the 1998 film BASEketball, Steve Perry's name is used as a powerful psyche-out tactic by the main character, Coop, played by Trey Parker. This, however, seems to work only against Doug Remer and was never used in a BASEketball season game. Perry continues to give annual greetings on his birthday at http://fanasylum.com and occasionally posts new messages to his fans there.